← Aikido with your spouse?? 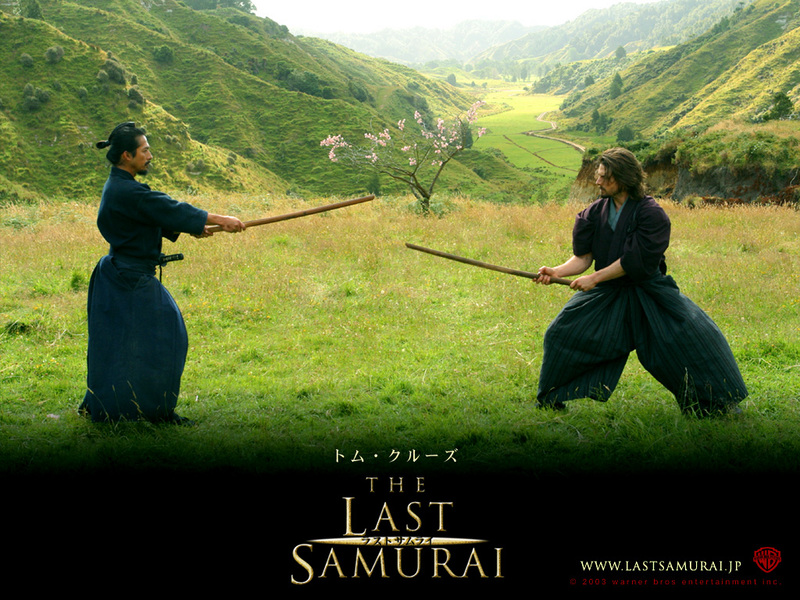 I am not a very big fan of the movie The Last Samurai, I didn’t like the idea that the American captain who became some sort of a hero, is the one who ultimately tries to save Japan’s glorious traditions in the face of imperialism. But the scenery is amazing, the acting is very good (especially that cute Japanese kid 🙂 ), also there was this scene where Tom Cruise was learning how to fight using the sword (he wasn’t fighting well at the beginning), and then aguy came to tell him that he is thinking too much and advised him with 2 simple words “No mind” ! And then Cruise fought like a real warrior… For me it was a new concept, how can one stay focused without using his mind? It didn’t make sense to me. And then later on I started to understand a little what it means to have a relaxed alertness, and I felt how important it is to keep this attitude. For example, the best times a person can perform a job is when he is concentrating in his task and at the same time he is not tensed or on his toes. That’s when a person can really excel. That’s Zanshin. Zanshinis a term used in the Japanese martial arts. It refers to a state of awareness – a state of relaxed alertness. The literal translation is “remaining mind”. In several martial arts, zanshin refers more specifically to the body posture after a technique is executed. What are the elements for Zanshin? Algren: [narrating] They are an intriguing people. From the moment they wake they devote themselves to the perfection of whatever they pursue. I have never seem such discipline. I am surprised to learn that the word Samurai means, ‘to serve’, and that Katsumoto believes his rebellion to be in the service of the Emperor. Algren: [shouting] What do you want from me? Algren: [narrating] Winter, 1877. 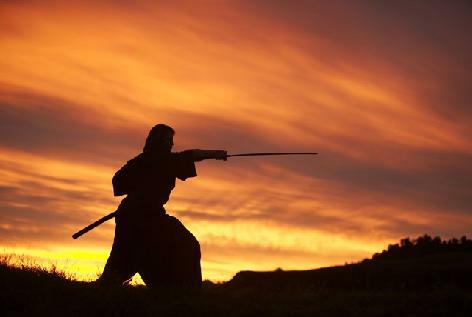 What does it mean to be Samurai? To devote yourself utterly to a set of moral principles. To seek a stillness of your mind. And to master the way of the sword. Simon Graham: [narrating] And so the days of the Samurai had ended. Nations, like men, it is sometimes said, have their own destiny. As for the American Captain, no one knows what became of him. Some say that he died of his wounds. Others, that he returned to his own country. But I like to think he may have at last found some small measure of peace, that we all seek, and few of us ever find. This entry was posted in Aikido, Quotes, Thoughts. Bookmark the permalink. Dear Noush, You’ve been tagged. Are you sure it isn’t mushin, “no mind”? This is the programming of the mammalian brain state by repetitive practice, so that samurai reacted to threat by reflex, not reasoning. mmm Thanks Andy for mentioning this,, I will re-ceck and get back to it. for example, in kendo, it is not enough to hit your opponent. you need to earn it by finishing a strike from beginning to end. zanshin is the continued state of mental alertness and physical readiness to instantly attack or respond to an attack or counter attack by ones opponent. انا من المتابعين لقناتكم التي ابهرتني لمستواها الرائع ولطريقتها في كسب المشاهد وانا هنا في بغداد كنت ممن يدعون الاصدقاء الى متابعة قناتكم . ITS THE WAY THEY GAIN THE RIGHT TO REINVENT PEOPLE AND CULTURES AS THE FOUNDERS OF THE NEW WORLD????? REFURNISHE IT AND EXPORT IT??? ?